Oh, hey there! 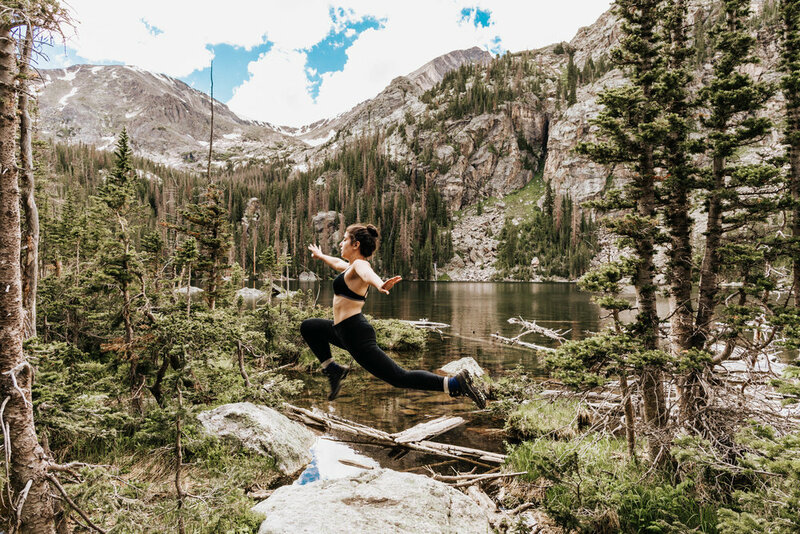 I’m Sheena, an adventure elopement and small/intimate wedding photographer based out of Fort Collins, Colorado and Asheville, North Carolina. Wait, two locations? What the heck do I mean by that? Well we currently live in Colorado and we’ll also be getting a place in North Carolina very very soon, so I call both places home base! Camping, winding mountain roads, national park hopping, and the sound of dirt beneath my hiking boots are my love language. I'm also a self-proclaimed foodie and red wine and kombucha lover, so if that sounds like you, I have a feeling we'll get along perfectly! I don’t just throw around the term “Colorado adventure wedding photographer.” I make it a point of living that life. When I’m not shooting adventure elopements and intimate, small weddings, you can find me hiking the Rocky Mountains and Appalachian Mountains with my husband Ed, and our two pups, Abby and Zari. I'm a curiosity-chasing, mountain-hiking dork who's pretty much always itching to plan my next road trip. Favorite one so far? Our 22 hour trek from Colorado to Jasper up in Canada (with stops in Banff, Glacier, Yellowstone, and Grand Teton National Parks). Ask me about it, and I’ll pretty much talk your head off. There's nothing that gets me more excited than photographing couples who've chosen to do their own thing on their wedding or elopement day (wedding rules are meant to be broken, am I right?! 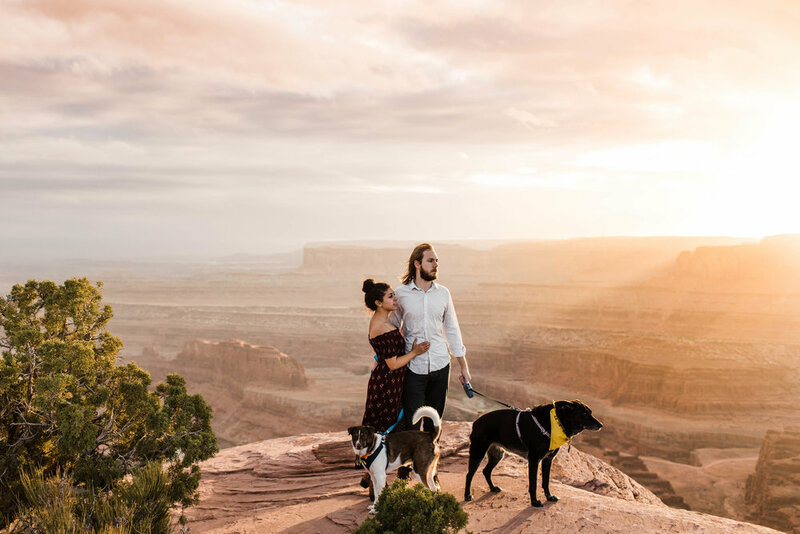 ), whether it’s planning your Colorado adventure elopement on the edge of a cliff in a national park or holding a small backyard wedding ceremony somewhere in the foothills of the Colorado Rocky Mountains with delivery pizza at the reception. I’m all about it. The pressure of this wedding industry can be nuts at times, with all of these “standards” for how things are supposed to be done. 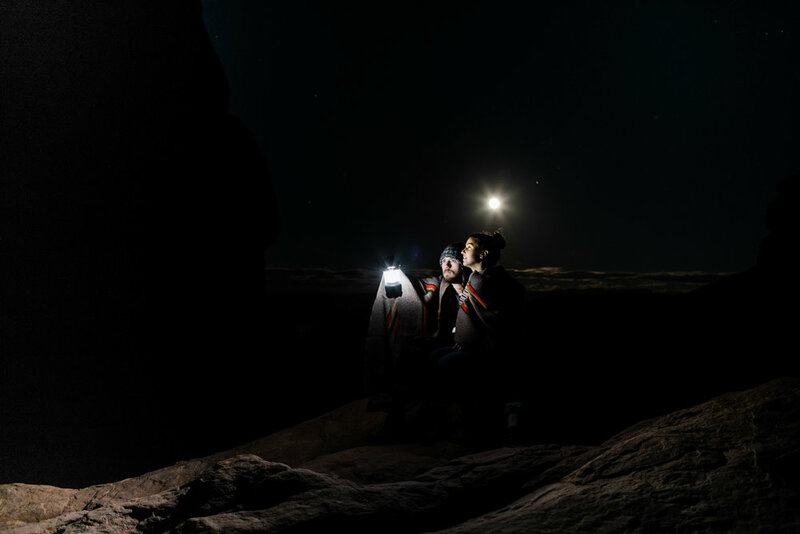 And I know from personal experience, as someone who ditched her traditional large wedding for a Colorado national park elopement (shoutout to Great Sand Dunes National Park!) despite everyone else’s opinions (and boy, were there many! ), how tough it can be to go against the grain. But I can also tell you from that same personal experience that when I let go and decided to do my wedding my way, it was the best decision I could have made. And that’s exactly why I have such a passion for helping my couples build out their dream adventure elopements and small weddings on their terms, however that translates for them. I love working with couples who believe that their adventure wedding or elopement day is first and foremost a reflection of their love, and that it shouldn't have to be dictated by the traditions and expectations of the wedding industry. 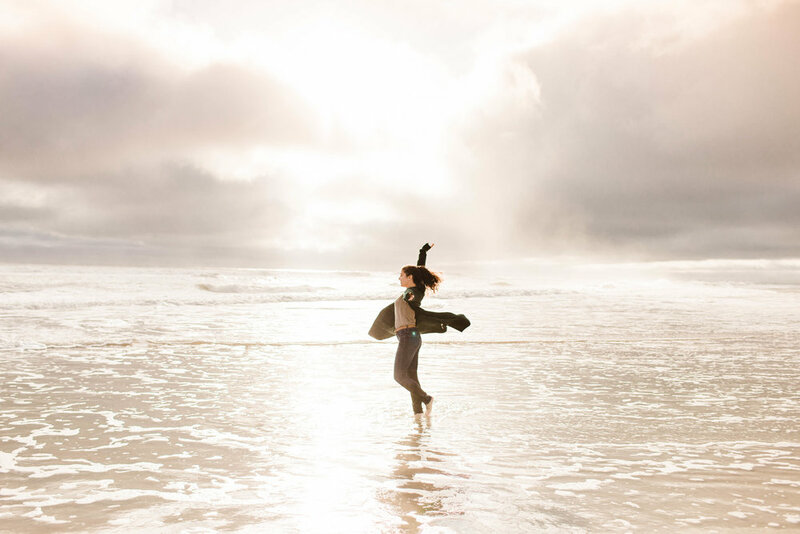 After all, the real magic happens when you feel in your element during your wedding or elopement. By the end of your adventure elopement or wedding day, there’s a good chance we’ll basically be best friends. If you haven’t already noticed, I pride myself in being the best third wheel you could have at your elopement or intimate wedding. So if you want a photographer who will crack terrible dad jokes and start up some dorky dance moves (mine are just about some of the worst, but they’re sure to give you a good laugh), then I don’t know what you’re still waiting for. Let’s get in touch! And if you want to get a peek at some of the adventures Ed and I have been on, scroll on down to catch a glimpse of me in some of my favorite places on earth — many of them here in Colorado — with my sweet husband, Ed. If you can't already tell, we're suckers for a good landscape. Sound like we're meant to be? Let's make some photographic magic together! P.S. 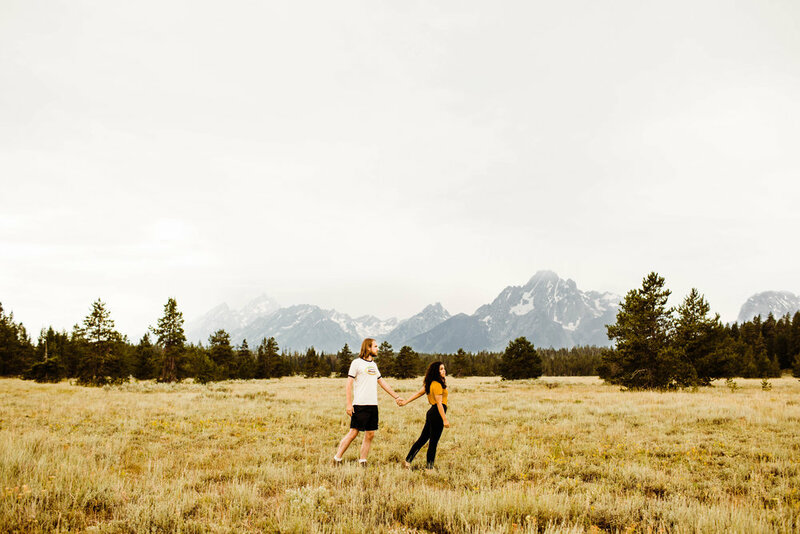 While we are Colorado and Asheville, North Carolina based adventure elopement and intimate wedding photographers, we happily travel to elopements and small weddings in different states, so if that’s you, let’s chat! We don’t just talk the adventure wedding talk. We live this lifestyle, through and through. 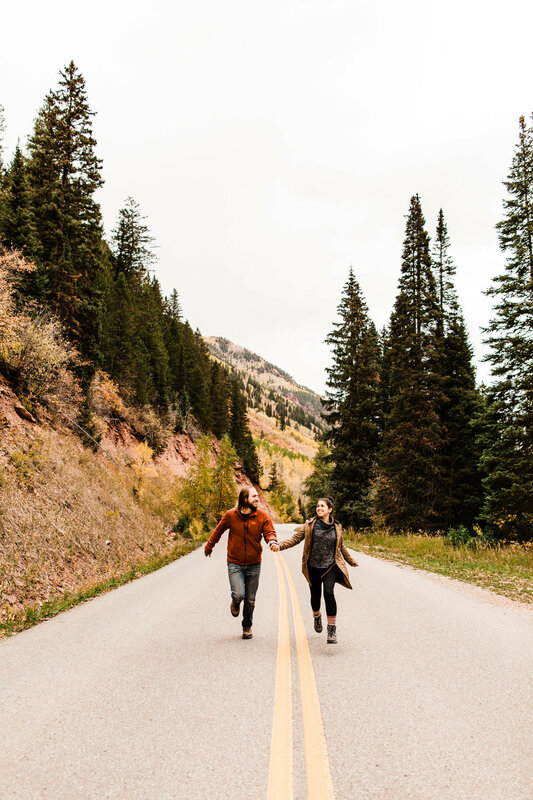 We love spending our free weekends and evenings exploring the trails to find the best elopement locations for our couples. From the Colorado Rocky Mountains we call home to the various national parks our country has to offer, we’re there. Chances are, if there’s an unexplored mountain road, we’re somewhere on it. Travel and adventure are our passions, and we love getting to share that passion with our adventurous wedding and elopement couples. Hey! Don’t live in Colorado or North Carolina? We’ll happily work with you to travel to your adventure elopement or intimate wedding. We absolutely love destination elopements and adventure weddings, so if that's you, let’s explore the world together! 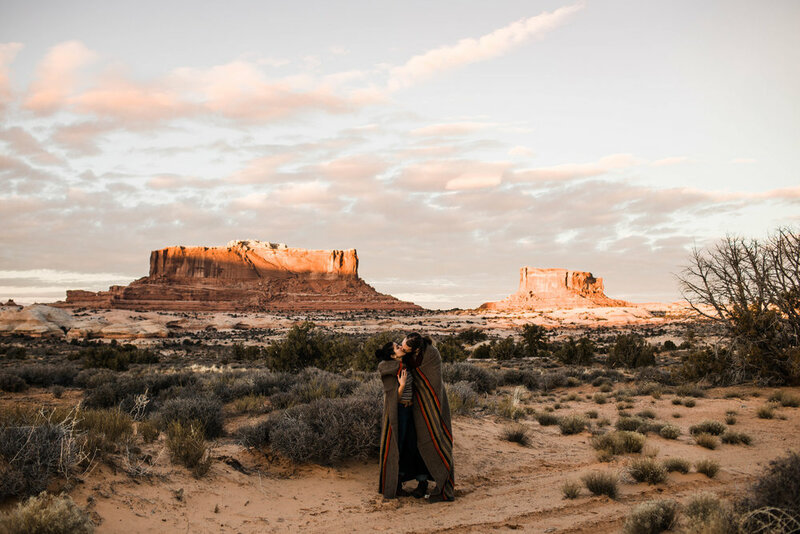 We also have a Travel Bucket List with the places we would love to shoot elopements at, so if your intimate wedding or adventure elopement takes place in any of these places, we have a deal for you. Drop us a line, and we’ll make it happen. HEY YOU, LET’S BE WEDDING + ELOPEMENT BFFS. There's nothing we love more than connecting with you guys. We want to build a community with y’all: a place where we can cheer each other on during the adventure elopement or wedding planning process. So it goes without saying that we'd love to meet you guys on Instagram. Don't be a stranger! Come say hi. Extra points if you comment your favorite hiking trail on any of our photos. We can't wait to be a part of your journey.